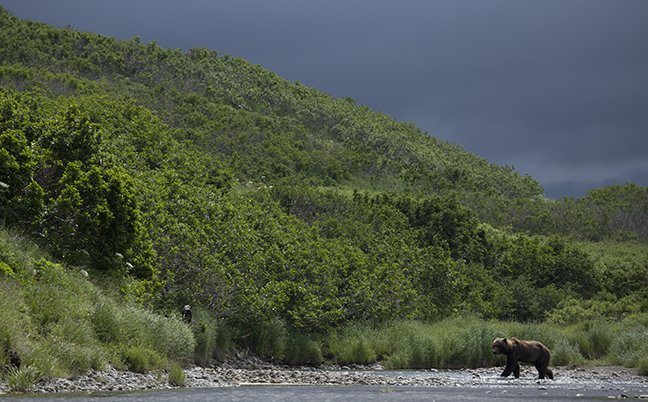 Mikfit Creek is located in the McNeil River State Game Sanctuary on the northeastern Alaskan Peninsula and is managed by the Alaska Department of Fish and Game. 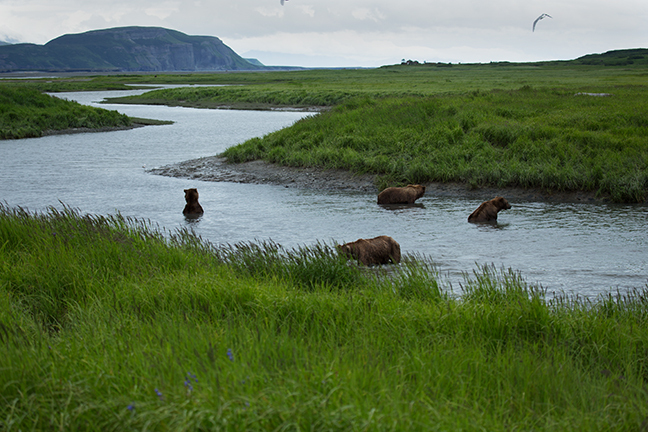 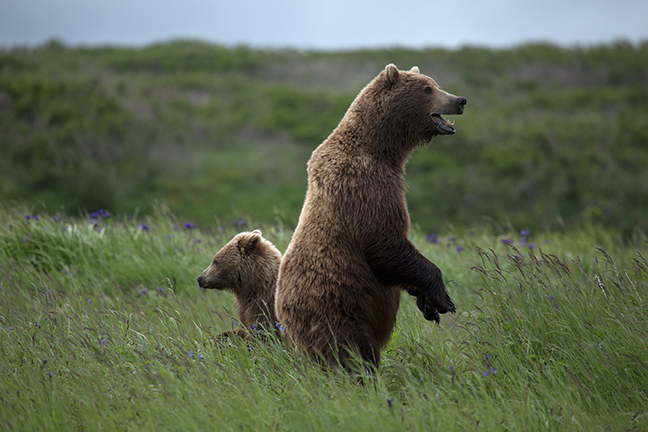 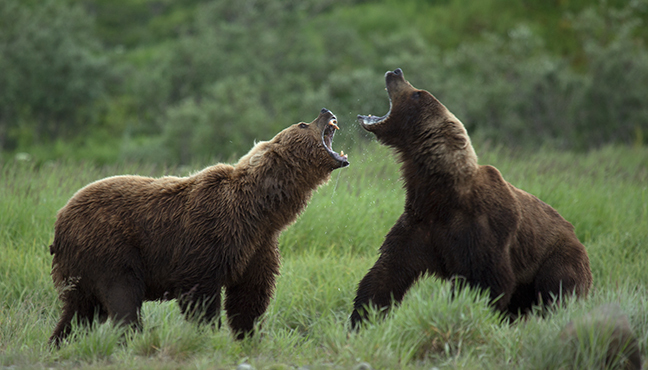 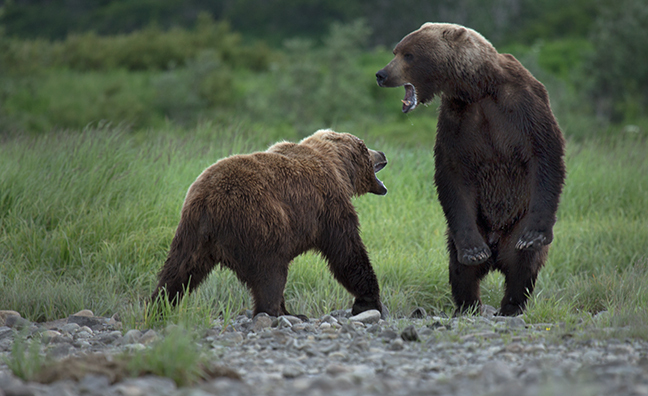 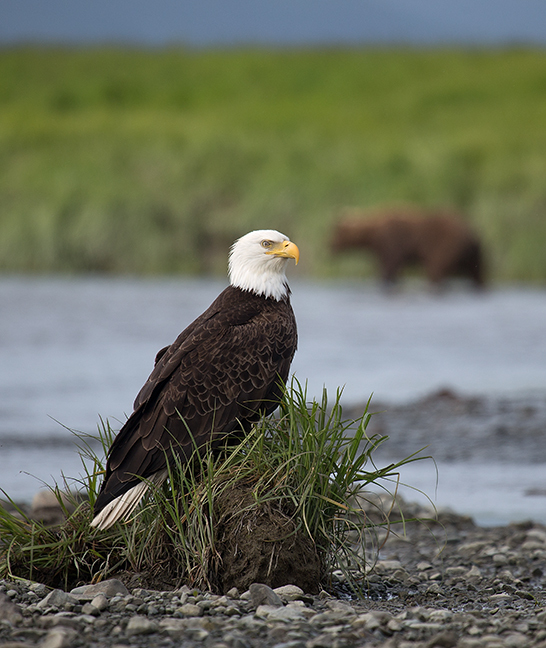 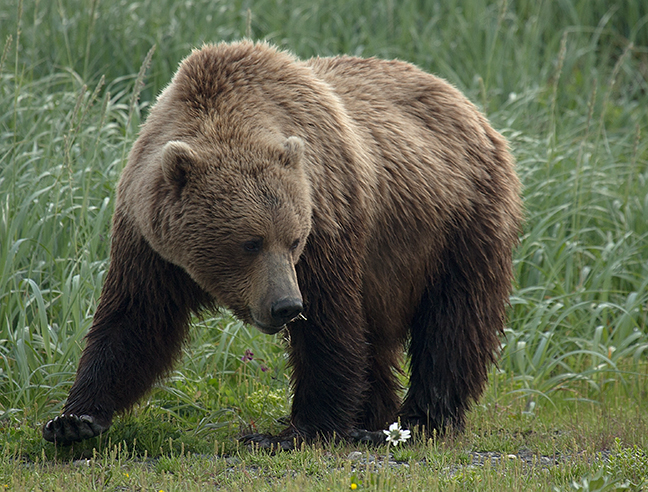 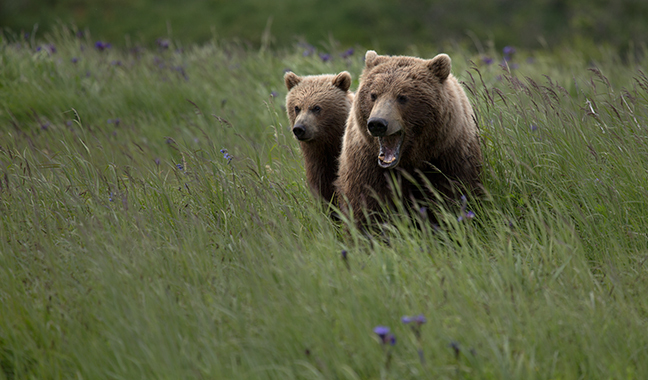 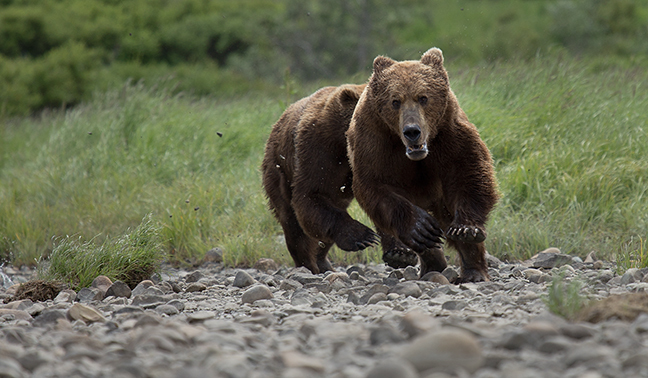 Every summer, bears gather at McNeil River, creating the largest concentration of wild brown bears in the world. 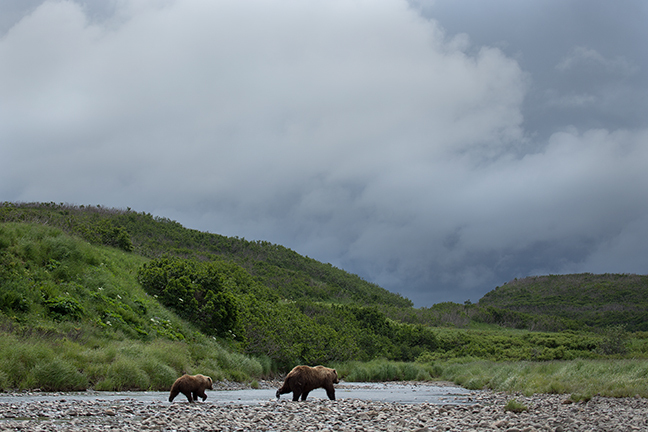 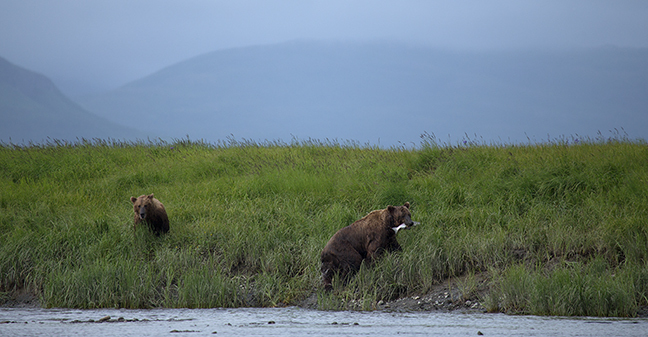 During June, a smaller number of bears (generally 15 - 20) are attracted to nearby Mikfik Creek, south of McNeil River, to feed on migrating sockeye salmon. 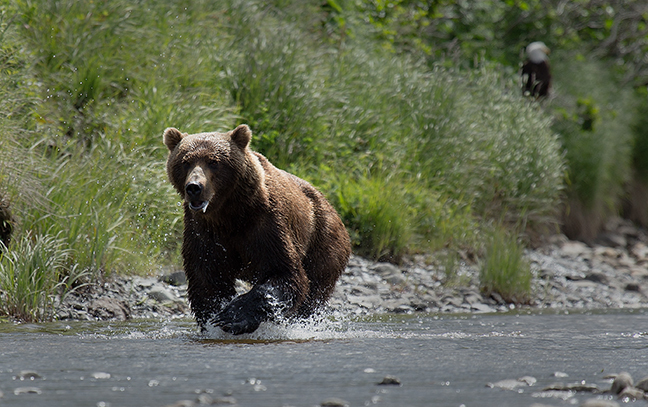 In early July, as the sockeye run ends in the creek, a chum salmon run that attracts more than 100 bears begins in McNeil River.